Login using Facebook Forgot Password? Sign Up using Facebook Forgot Password? Forgot your password? Please enter your username or email address. You will receive a link to create a new password via email. 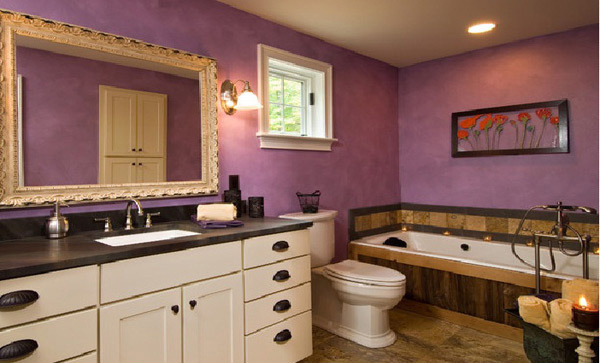 Well, there are many reasons why many people tend to use purple or lavender color in their bathrooms. First it’s not just because this is their favorite color but due to the influence of its color to one’s emotions. It also provides comfort to the users. 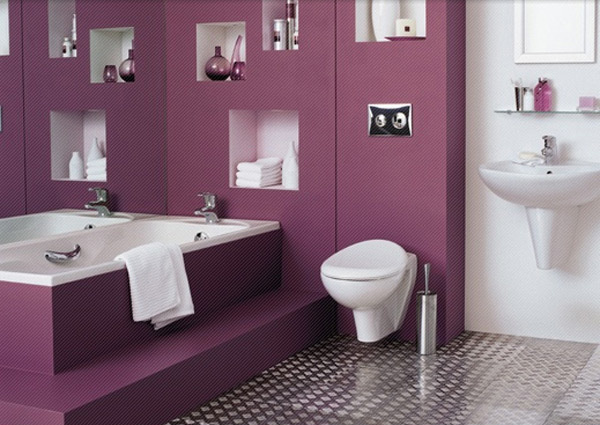 So today, we will show you the different bathroom designs with purple and lavender accents. 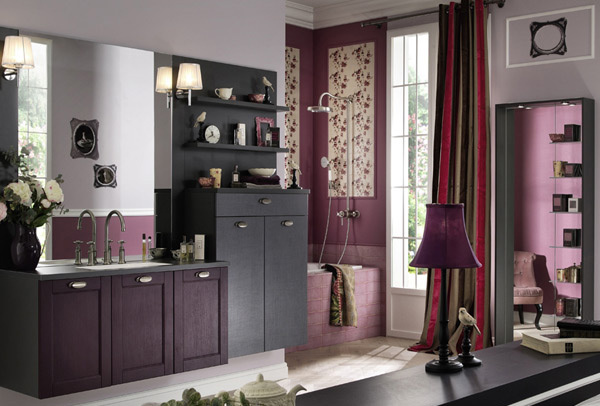 With that we will assure you that you will be amazed of how the designers apply purple and lavender shades in their bathroom designs. As we all know that applying the shades of purple can evoke the feelings of peacefulness and tranquility. 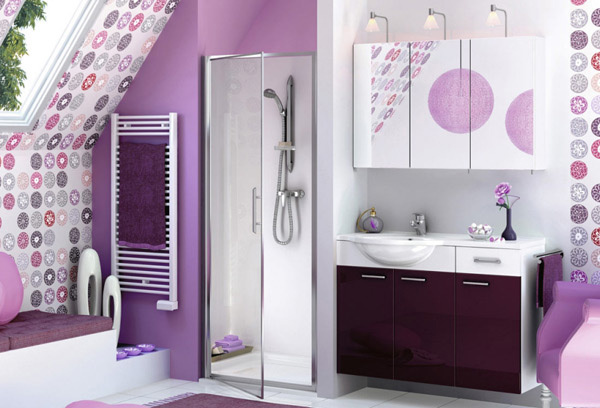 When you choose to use lavender and lilac it will surely provide you a flowery freshness in your bathroom. However, we can say that using a bold and fabulous interior design statement in our home can also influence the mood of the people who will visit and even stay in the house. And so we have gathered a collection of sophisticated and majestic purple bathrooms. 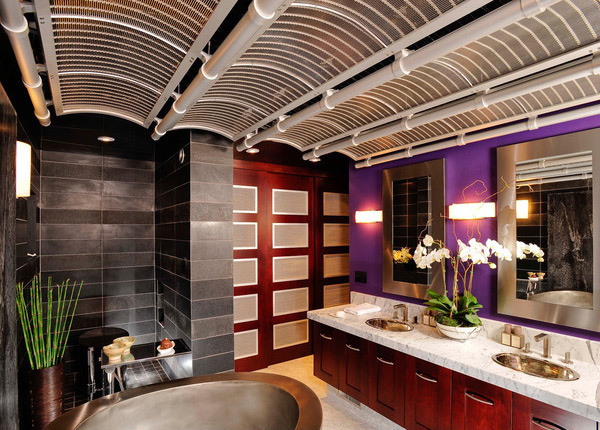 And since the designers used the purple and lavender color for these bathrooms, it successfully achieved a luxurious look. 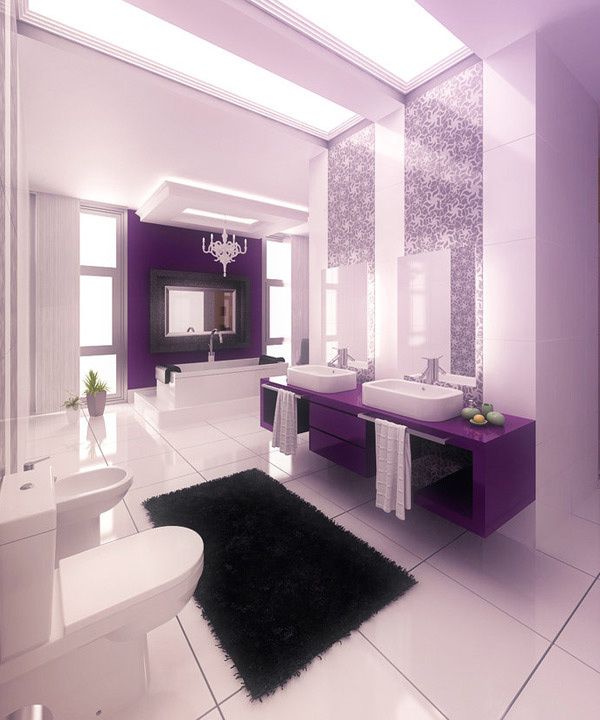 Now take a look at the different Purple and Lavender Bathroom Designs below. The purple color with the silver fixtures and accessories here emphasizes elegance together with the shower area that is enclosed in the glass material. This area may not be spacious as you can see the bath tub placed in the corner. 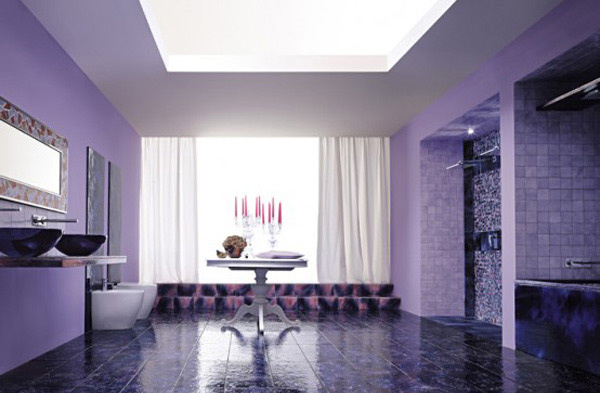 Here is the large bathroom that has a touch of purple concept that is well-suited for a master bath. The lights used here add more relaxing effect as you can also see the candle lights placed in the tub. As you can see, the stainless steel structure set in the ceiling here proves that this is a great sample of an Asian modern bathroom. The lavender and white color combined makes it look more sophisticated. 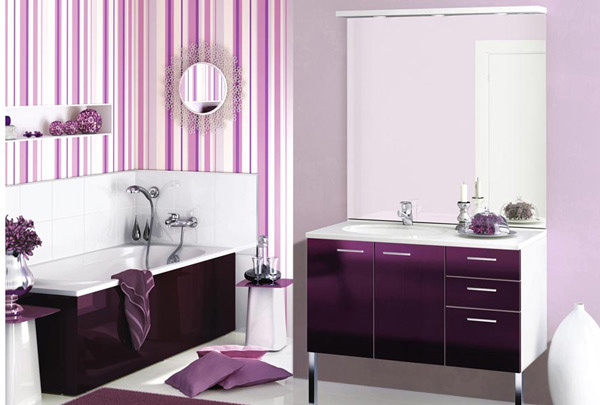 The purple striped wallpaper as well as the purple cabinet and accessories are perfectly set here to achieve the best purple theme bathroom. The silver, black and white creates a dramatic and peaceful place to relax with. 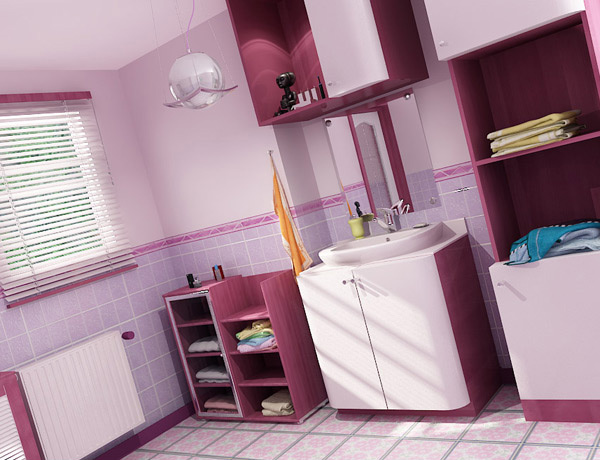 A touch of lilac color and white makes this bathroom lovely, giving it a more stress-free effect to anyone who uses it. 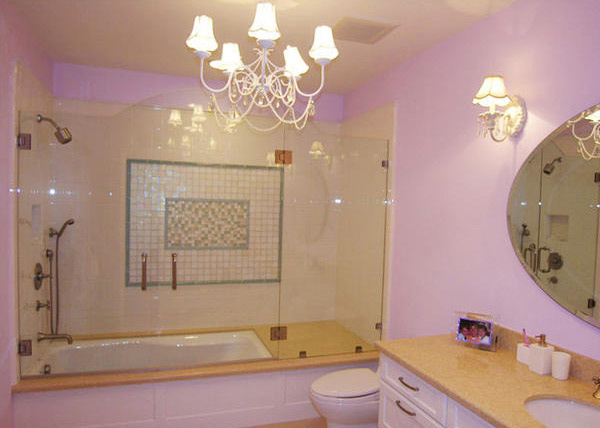 Here is the fantastic lavender bathroom that is comfortable and attractive. The shower area may be small but clean with its glassed door and circle wallpaper all over the bathroom. The chandelier is highlighted in this bright lavender theme making it look sophisticated. 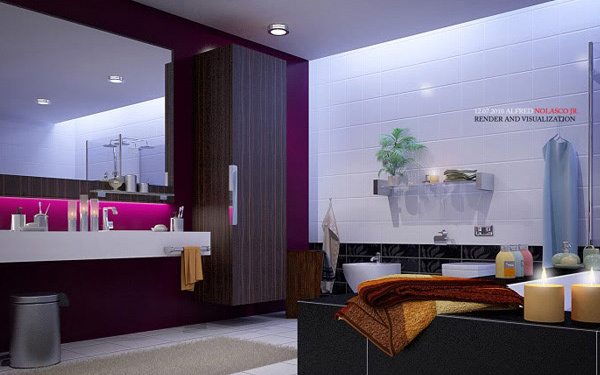 The designer’s choice of purple really made this contemporary bathroom attractive and clean. 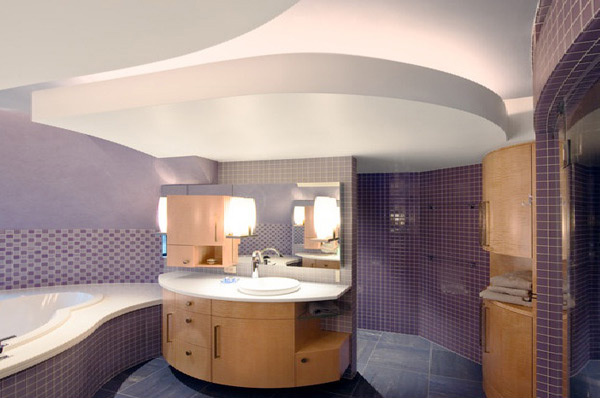 Fine curves and shapes together with the purple wallpaper applied here create a different mood and dimension. 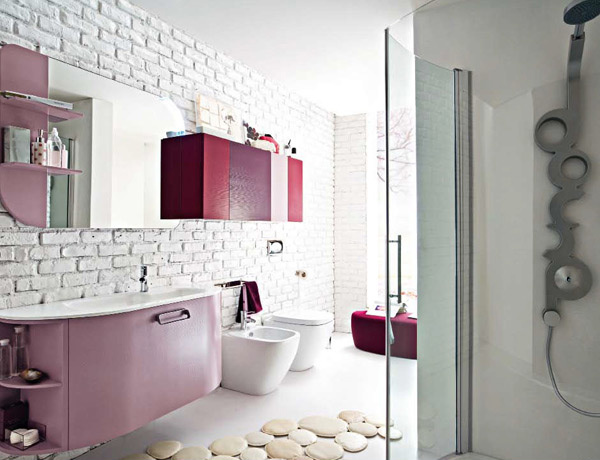 A touch of lavender and maroon in this bright bathroom makes it look more airy and spacious. Hence, we can say that in embracing the idea of a purple bathroom interior design indicates a desire for individuality and adventure. As we can see in the designs above, purple can turn the bathrooms into a dramatic and vibrant place, or maybe with a soft and mellow mood. Some may find it dark and lonely but using this concept can be extremely beautiful most especially if you combine it with white fixtures, furniture, and accessories. Do you have anything to add here? Well we hope that we gave your another inspiration to consider in redecorating your bathroom. You might as well want to check other bathroom designs with red shades, yellow shades and even black and white! Aside from her zeal for writing, she has an eye for beautiful home designs that inspires her to achieve her dream home. Her prowess in writing inspired her to continuously engrave her ideas and gracefully illustrate the dream stored in her heart and mind. I just found this on Home Design Lover, What do you think?. ©2017. Home Design Lover - A home design blog of Inspirations.All rights reserved.